Markus, bitten by bat, became the blood leader of the vampires. 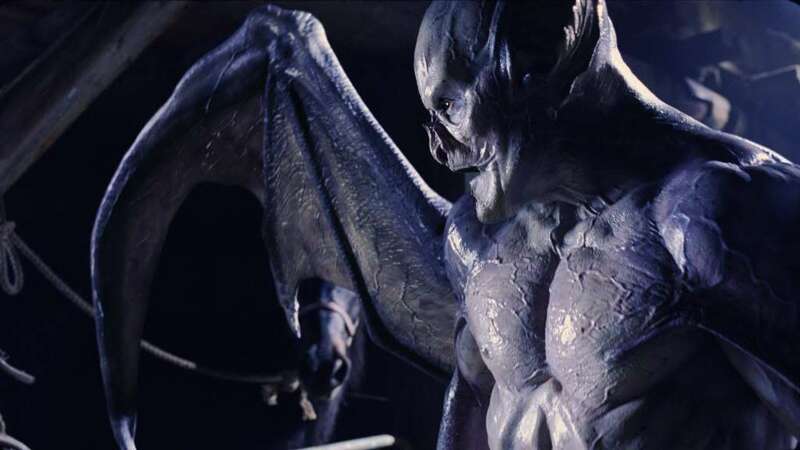 For the first Underworld film, the most extensive Vampire make-up had been applied to Bill Nighy to portray the regenerating Viktor after his awakening. Otherwise, the Vampire make-ups in the film consisted in prosthetic teeth and bright blue contact lenses — showing their heritage from Marcus Corvinus. Interestingly enough, Tony Curran — who portrays Marcus in the second film — has red hair and blue eyes, both traits associated with vampires in Romanian folklore (specifically, the strigoi). This gallery contains 72 photos.